Never before has there existed such a large crop of young musicians well versed in the acoustic jazz tradition. We largely have Wynton Marsalis to thank for that; in the 1990s, he enshrined jazz in the American canon and built it an executive suite in the educational establishment. But for all of their knowledge and love of the tradition, what most energizes the young jazz musicians living uptown today is the creative community they have forged, one centered on a constantly evolving musical language. As a composer, the 27-year-old pianist Gerald Clayton says he’s most inspired by the work of his peers. “When I’m writing music, I’m thinking about the people who are playing it, so those guys are always an inspiration to me,” he says. “The Dayna Stevenses and the Gretchen Parlatos and the Ambrose Akinmusires and the Logan Richardsons.” It’s a sentiment that many in his cohort share, and notionally it puts them in the company of all major artistic movements, really, from the Parisian avant-garde painters of the early 20th century to bebop’s inventors in the 1940s. Movements, not isolated concepts or fads but remembered tectonic shifts, are made by groups of like-minded individuals whose worldviews correlate and spar and ultimately result in a beloved body of work. 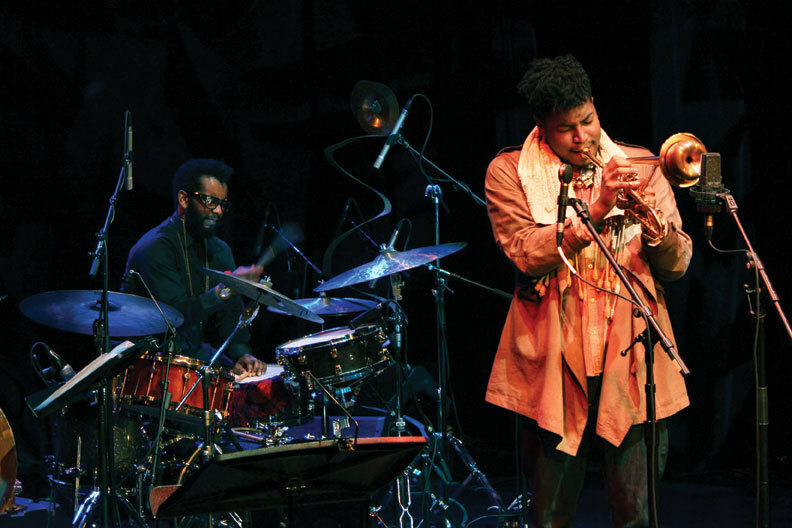 Harlem’s 20- and 30-something jazz musicians belong to what some journalists and scholars have dubbed the hip-hop generation, and their innovations are tethered to the urban heartbeat among which they came of age. Their influences range widely, from Rachmaninov to Robert Johnson to Radiohead. But at jam sessions in uptown living rooms and home studios, young players are consistently making groove-based music that seems hitched to the same lifeline as the hip-hop they grew up with, and has conspicuous ties reaching back to the music of West Africa and much of the rest of the world. Five days before our conversation at Red Rooster, Scott opened a two-night run with his quintet at the Harlem Stage Gatehouse, a converted aqueduct dating from the 19th century. On the stage under a magnificent stone archway, the band built to bristling, cloudy atmospherics, cut through with Scott’s writhing, bottled-up squeals. On drums, Jamire Williams turned it all inside out with hijacked backbeats and broken polyrhythms. “Alright, man. Well, good luck.” Scott offered a handshake and a warm smile. Satisfied, the man turned to leave. On his way out the glass doors, he told me that he hails from Texas, and he’s an aspiring musician himself. His parents only listened to smooth jazz, but he discovered the real thing during high school, along with his other loves of hip-hop, R&B and rock. It is the crop of similarly open-minded young musicians, an astonishing number of whom live in Harlem, that brought him to the Big Apple. 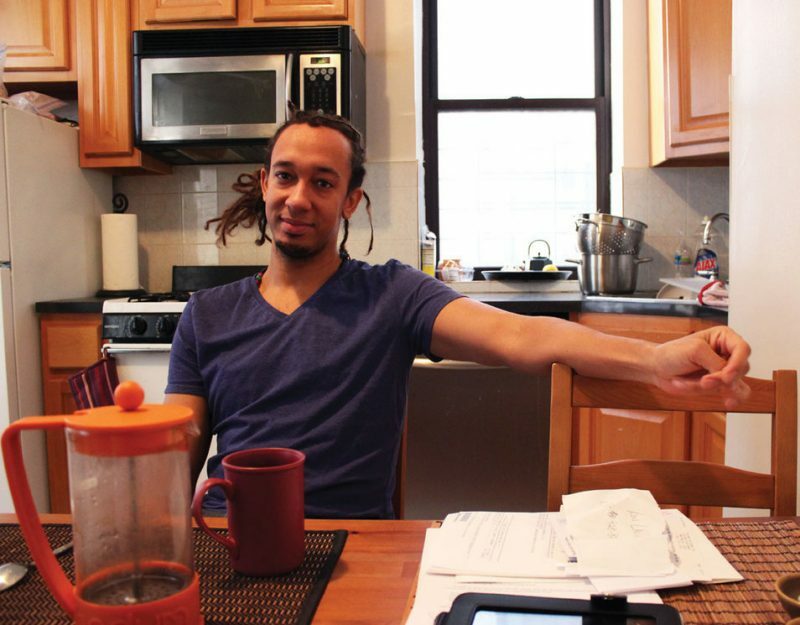 It’s just after 4 p.m. on a Tuesday, and Gerald Clayton is playing his Yamaha grand piano in the sun-drenched apartment he shares with drummer Justin Brown. This is where Clayton, Brown and bassist Joe Sanders (who lives in an apartment upstairs) hashed out the tunes that comprise Bond: The Paris Sessions, the pianist’s Grammy-nominated sophomore album. It’s also where trumpet phenom Ambrose Akinmusire’s band, which includes Clayton and Brown, often gets together. Sometimes painter Alix Delinois, whose portraits of legendary musicians are now on exhibition at the Jazz Gallery in Greenwich Village, comes by to hang out. The story of innovation in Harlem is one of cross-pollination, so it is also one of shared spaces. On this particular afternoon, I’m across the room, in awe, sitting down for dear life, as the pianist winds his way through a dazzling reharmonization of Bill Evans’ “Waltz for Debby.” His left hand’s punctilious rumblings are set off by the warm and wakeful harmonies of his right, dropped lightly onto the keys like dimes from an unfurled fist. Clayton is known as one of the hip-hop generation’s most learned piano practitioners, and his mastery of the keyboard’s palette conjures a bulbous sphere rather than a single linear spectrum. Not only is he just as comfortable with the keyboard’s highest range as he is with its lowest; he knows how to lead or to accompany, how to stir up fire or soothe with a ballad, how to inhabit a trenchant swing feel or groove hard on the downbeat. His playing is equal parts Oscar Peterson and Brad Mehldau. Scott sees hip-hop as a major influence on his playing, but also looks across oceans for much of his inspiration. His first record, The Source, often found the drummer and his rhythm section synthesizing a deep flow somewhere between Grandmaster Flash, Fela Kuti and the Carnatic tradition. If Scott’s music articulates a philosophy, it’s that an improvising musician in today’s world can, if he desires, draw on a global library and assemble his own foundation, his own canon. The record features bottomless grooves from Jamire Williams (no relation), aided by Clayton on piano and electric keys. The group bounces through hip-hop, anthemic R&B offshoots and go-go, the swinging funk subgenre indigenous to Williams’ hometown of Washington, D.C. On one track, the MC John Roberts raps a biographical tribute to hard-bop trumpet great Lee Morgan while Christian Scott interjects horn lines soused in the blues. State of Art emerged in June and was at the top of the JazzWeek charts by August, earning positive reviews from JazzTimes and DownBeat along the way. But a more telling litmus might be the perfect 10.0 rating it received from the Revivalist, a new online magazine. Revivalist is run by Revive Da Live, a jazz-presenting organization based in Harlem that has become the centripetal force among the young musicians blazing trails north of 110th Street. Twenty-nine-year-old Meghan Stabile founded Revive in 2006, when she was an undergrad at Berklee in Boston. After leaving school, she moved to New York, where she now runs her concert-organizing apparatus and publication out of an apartment on Bradhurst Avenue across the street from Jackie Robinson Park. In the past half-decade, Revive has forged a track record that reads something like a manifesto. Its shows have included a tribute to Roy Ayers at the Gatehouse featuring pianist Robert Glasper and DJ Pete Rock; a double-bill pairing jazz trumpeter Nicholas Payton’s Sexxxtet with MC Talib Kweli; and the weekly Harlem Evolution Series jam session, which until recently attracted a range of the city’s young jazz musicians and artists to Creole Restaurant on Third Avenue and 118th Street (earlier this year, it dropped the “Harlem” from its name and moved downtown to the Village’s Zinc Bar). The audiences at Revive shows come from a wide range of backgrounds, and the median age always hovers around 30. Simone Eccleston, programming and arts education manager at Harlem Stage, says the Harlem Evolution Series offered a “creative space for all of these younger musicians to come and just jam with one another.” It attracted “scholars, writers, arts administrators, other artists. When you went there, you were fed,” she recalls. When Stabile and I talk, she is sitting at her desk in the apartment she shares with her boyfriend, trumpeter Igmar Thomas. In the other room, behind a closed door, he runs through rudiments while a hip-hop track bounces out of his speakers. While Moran often experiments with samples and electronic effects, his acoustic piano playing also exhibits the stark influence of modern hip-hop producers like J Dilla. In a solo rendition of “Body and Soul” recorded for the 2002 album Modernistic, Moran uses his left hand like a looping machine, repeating a one-bar pattern that disrupts and recasts the tune’s constant harmonic modulation. On his latest record, 2010’s Ten, Moran covers Thelonious Monk’s “Crepuscule With Nellie,” which the legendary pianist always played according to a strict arrangement with hardly any improvisation. In his version’s raucous climax, Moran teases out one fleeting phrase, transmutes it into a gospel refrain, and wraps the whole thing around a beat with all the bob and bounce of an early 1980s Afrika Bambaataa track. Ten ended up earning a sort of critical quadruple crown: album-of-the-year honors from NPR Music, the New York Times, JazzTimes and DownBeat. In Harlem, Moran’s high profile has added a stamp of legitimacy to the fundamental shift already well underway. But he is quick to emphasize that the backbeat-driven, groove-based music that’s so ubiquitous uptown these days isn’t altogether new: It “stands on the shoulders of what people like Greg Osby were doing 15 years ago, even though they were rarely very successful,” Moran says. 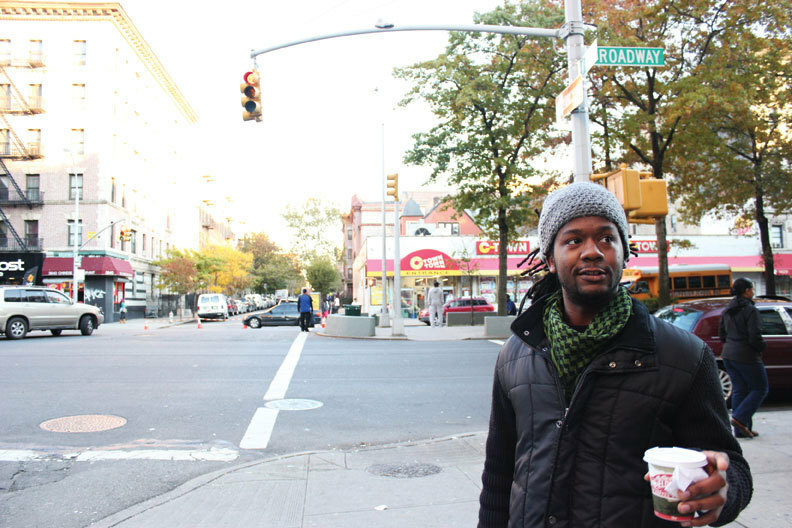 Cary recorded an electro-jazz album with MC Shon “Chance” Miller in 2006, featuring a track based around Langston Hughes’ poem “Harlem.” Just a few days later, the pair found out that Hughes’ old home was on the market. They leased it, renovated it to reflect the décor from the poet’s day and built a two-story performance and recording complex. Referred to on the scene simply as “Langston’s,” it quickly became a meeting place and jam session hub for hip-hop and jazz musicians. Personalities from MC Prodigal Sunn to bassist Tarus Mateen spent all-nighters collaborating on projects. As a concert venue, the timeless address was a locus of Harlem’s burgeoning artistic class, and a proving ground for young musicians. “When I moved up, [Cary] was like, ‘Oh yeah, you uptown now, you gotta come by Langston’s! '” Jamire Williams recalls. He was behind the drum set there one night during a packed-out performance when the basement tenant, a relative of the landlord, flipped a switch. In an instant, all the electricity in the place was gone. Cary, who’d been playing electric keyboard, groped over to the Fazioli grand piano while Williams shifted the beat, the music continued, and the crowd kept dancing. Cary and Chance lost their lease after a falling-out with the landlord, and Langston’s joined the ancestry of Harlem’s fabled musical incubators. There had been James P. Johnson’s 140th Street brownstone, where the greatest stride pianists of the early 20th century would play cards and cut on the piano all night. Then came Minton’s Playhouse on 118th Street, where Thelonious Monk, Kenny Clarke, Dizzy Gillespie and Charlie Parker traded licks and compositions in the early 1940s, giving rise to bebop. Harlem fell into decline in the middle of the century, victimized by deindustrialization and middling government support. The neighborhood that had once been the capital of black nationalism and art soon found itself hollowed out, and the spotlight of the jazz world was redirected onto downtown clubs: the Village Vanguard, the Five Spot and later Bradley’s. But by the end of the 1990s, economic boom brought rebirth, and as always, an influx of artists led the way. With the closings earlier this year of the Harlem Evolution Series and St. Nick’s Pub, a popular jam session hub, it remains an open question where the general public can go to witness history being made. But it’s clear that at jams in so many musicians’ homes, the onward progression is thriving. During the 1980s and ’90s, the so-called Young Lions discerned that the rise of jazz-rock fusion had created a chasm between jazz’s mainstream and its tradition of rigorous instrumentalism. These fresh-faced neoclassicists, who found their ambassador in Wynton Marsalis, mastered bebop’s vast emotional palette by studying the work of jazz greats from 1965 and earlier, and by gigging with old masters. The movement-though it could also be called a campaign-succeeded famously: Many of the Young Lions found international acclaim, and with the help of Marsalis’ work at Lincoln Center they winnowed out an important place for jazz in the American musical canon. They also comprised the first major movement in jazz not to innovate a new style. Since the early 1900s, jazz had been a scion of the blues tradition, carrying its spirit of strength and resistance through a series of rhythmic and harmonic permutations. When the Young Lions sought to save jazz by reanimating the art of a past era, they overlooked the fact that the blues lineage, with its personal revolutions and community consciousness, had long ago found new life in soul and funk and, by the late 1970s, in hip-hop. The Young Lions returned jazz to a standard of high musicianship and recognition of its roots, but they could not help it regain its place on the moving walkway of tradition’s timeline. Their policy of retrenchment often divorced their music from the social realities of the times. 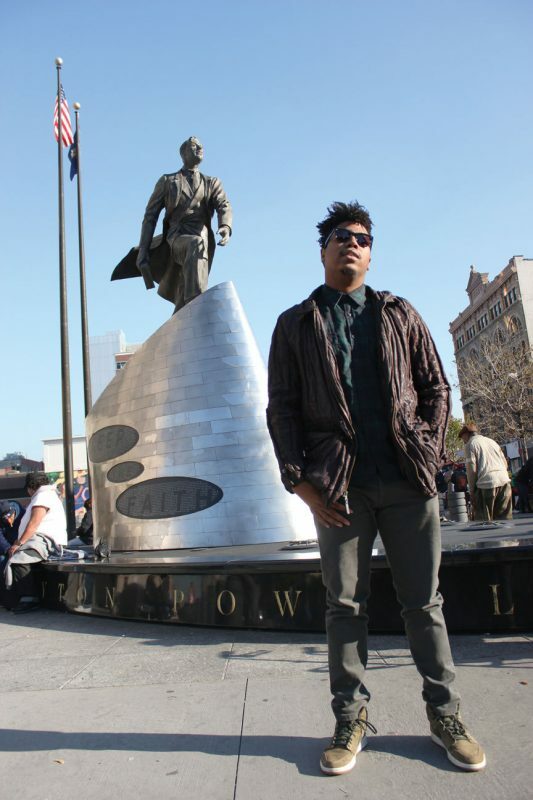 So when Christian Scott, one of the most socially conscious of Harlem’s contemporary jazz musicians, resists the term jazz, he is staking a claim to the full breadth of the African-American, and simply American, musical lineage-one that must include hip-hop if it is to hold its own in a conversation with today’s audiences. But many musicians in their mid-30s and older, no matter where they fall on the question of stylistic rigidity, worry about the sheer musicianship of today’s new breed. There is a great deal of concern that for all the benefits of the jazz education system Marsalis helped establish, it is now rife with subpar teaching and a misplaced focus on impetuous individualism. This, they say, has created a generation of musicians who do not understand jazz’s nuances. To today’s consternated elders, the opportunity to fuse jazz with less instrumentally challenging musics provides an escape, a possible cop-out for rising musicians seeking work and distinction. Most of these young cats might be able to groove, the keening goes, but they just can’t swing. After an hour and a half of volleying at Red Rooster, Christian Scott and I walk out the front door and head west down a crowded 125th Street. It’s early November, and a chill nips up from the ground even as the sun spills out of a cloudless sky. As we approach the statue of Adam Clayton Powell Jr. that looms at the corner of 125th and 7th Avenue, the pounding of drums rises above the midday clamor. We stop at the corner and his face settles into a familiar half-smile. “Benin,” he says, glancing toward the drummers. “That’s where that beat comes from.” Scott explains that growing up in New Orleans under the guidance of his uncle, the great Mardi Gras Indian chief and jazz saxophonist Donald Harrison, he got a firm grounding in the roots of African-American music. Listening to the cyclical weave of the drummers’ cadence, open-palmed bass thumps in a disciplined exchange with high-ringing rim shots, you can’t say that the beat these men have created swings-not in the sense that most Americans understand the term-but you wouldn’t say that it doesn’t.